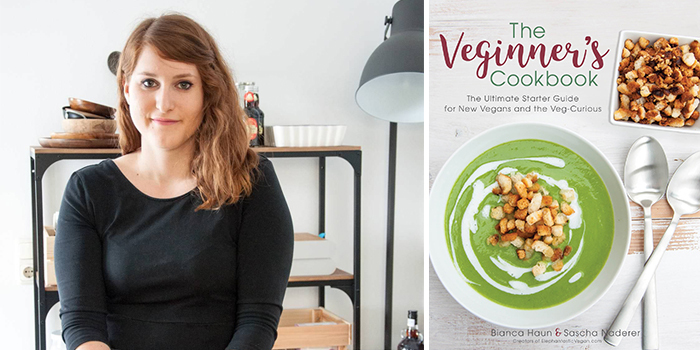 Bianca Haun is the food blogger behind Elephantastic Vegan, where she shares her favorite plant-based recipes and spreads the word about veganism without being too preachy about it. 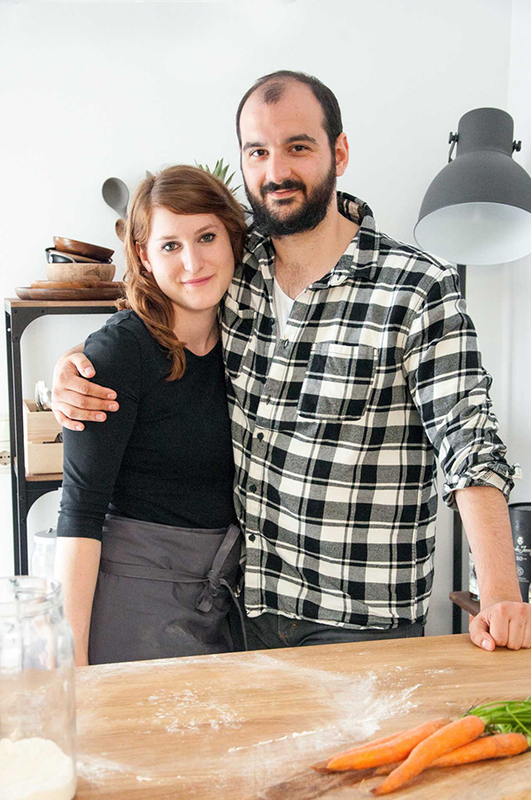 Together with her boyfriend, Sascha, they are a foodie couple that, after adapting a plant-based diet, fell in love with food all over again. 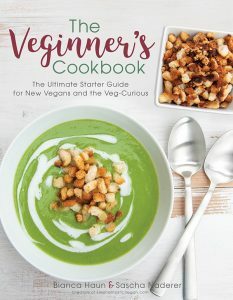 Their debut cookbook The Veginner’s Cookbook is now available. 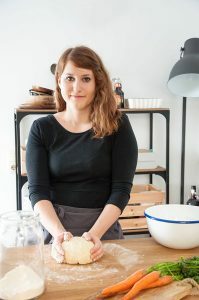 Bianca Haun: When I was in the US for holidays, I basically stumbled into a vegan restaurant, tried the food and was amazed at what was possible! I became more interested in veganism after that. I read Eating Animals and watched Earthlings, which is one of the most intense documentaries! After that, it was clear to me that I couldn’t live my life the way I did before. I couldn’t eat meat or dairy products without having those pictures in my head. 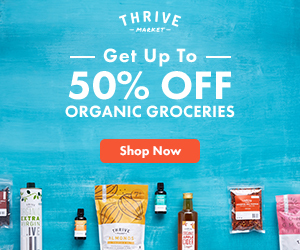 So I slowly introduced new vegan products (tofu, tempeh, TVP and veggies I have never tried before) into my diet and removed the animal products from my meal plan. The mental decision to go vegan was overnight, the execution of the new diet was a gradual shift. First it was only about the food, but then I paid more attention to only buying wool-free, leather-free, silk-free clothing and cruelty-free makeup. BH: The number one question is: How long have you been vegan? And when I tell them that I’ve been vegan for over 5 years now, they are impressed. Veganism only recently became more of a subject in Austria (we are often times a little behind when it comes to trends and Austrians sure love their schnitzel, so it’s not always easy to eat in restaurants as a vegan). CV: Tell me a little bit about The Veginner’s Cookbook and what inspired you to write it. 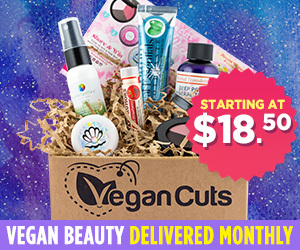 BH: The hardest part of any lifestyle change is the beginning, so I knew I wanted to help struggling vegans. I have a section called ‘Veginners’ on my blog, which includes posts written especially for new vegans. When my publisher approached me to write The Veginner’s Cookbook, I knew I wanted to do it, but a cookbook project is huge (and to be honest, I was afraid to do it alone), so I brought my boyfriend Sascha into the boat. Together we created The Veginner’s Cookbook, which is much more than just a cookbook. 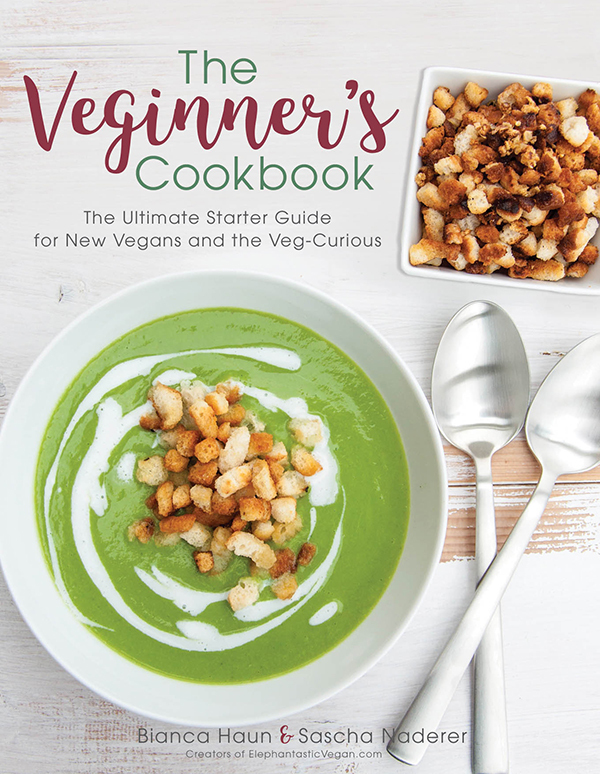 It’s the Ultimate Starter Guide for New Vegans and the Veg-Curious. 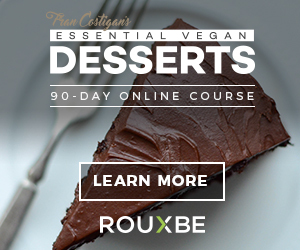 We included kitchen hacks, advice on how to stay vegan in difficult situations (in restaurants, at the workplace, at BBQs, …. 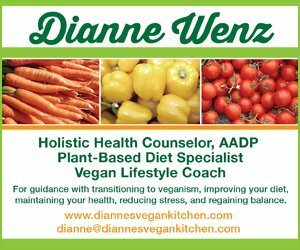 ), helpful articles for Veginners such as ‘How to avoid disputing your dietary preferences’ or ‘Substitutes that will make you forget about the non-vegan food’ and of course tips on how to stock a vegan pantry/freezer/fridge. CV: What are your favorite recipes from the book? BH: It’s hard to choose favorites, but I use the Nooch Cheese Sauce all the time (for pizza, lasagna, or as dip – it’s very versatile and delicious). There’s also a recipe for an African-Inspired Peanut Butter Stew in the book, that my boyfriend and I served at a party for our friends once. They talked about that dish for weeks and kept asking for the recipe. I never managed to put it on the blog, but I knew it was cookbook material. 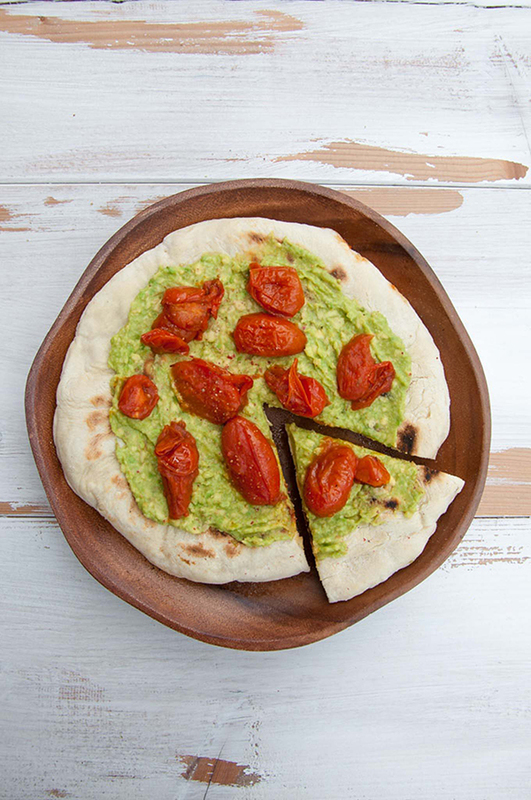 I really love the Stovetop Avocado Pizza for a quick and delicious lunch. CV: What’s the top tip you would give to someone who wants to go vegan but isn’t sure where to start? BH: Don’t be afraid to just start cooking! Start with basic meals like pasta and tomato sauce and work your way up from there. There are tons of vegan blogs and YouTube channels nowadays. You’ll never run out of ideas to make. Never. Also, don’t take yourself too seriously. I don’t think there is 100% veganism, otherwise you wouldn’t be able to drive a car because of the insects on the front of the car. Just do your best and enjoy the journey! CV: You’re also known for your delicious recipes on your blog Elephantastic Vegan. 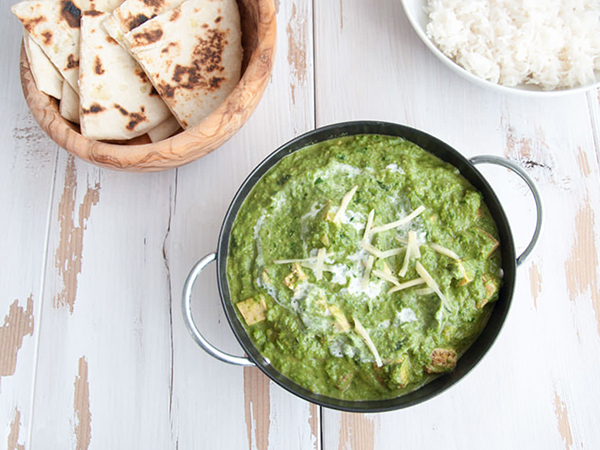 What inspires you to create a new dish? BH: Aww thanks! I love to travel and I usually eat my way through a new city, so I always come home with my head full of ideas I want to make for the blog. Or I veganize Austrian recipes I grew up with which are usually very heavy on the meat. Sometimes I just think of recipes or combination of ingredients when I’m walking or showering, I feel like inspiration is everywhere, you just have to keep your eyes peeled for them. CV: What would you cook for a dinner party of die-hard meat-eaters? BH: I’ve actually been in that situation before. I’ve had my parents’ and my boyfriend’s parents over for dinner and all of them are meat-eaters (especially the dads). I opted for an Indian feast. As an appetizer, I made Veggie Pakora with sweet potato and broccoli . It’s fried – so they loved it. That one was easy! For the main course, I made 3 different curries (I know, I always go a bit overboard for dinner parties): Dal Makhani (Black Lentil Curry), Palak Tofu, and Falafel Curry and served these with basmati rice and cilantro naan. We felt pretty stuffed from all the food, so we ‘only’ had nice cream for dessert. 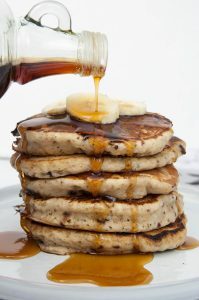 BH: Definitely pancakes! Pancakes are for me so much more than just breakfast. They are the symbol of enjoying a relaxing time in the morning without having to worry about the day. I just know when I have pancakes in the morning that it will be a good day. BH: Kala Namak, Nutritional Yeast and Liquid Smoke. For me, these are the holy grail to making any vegan meal into an AMAZING vegan meal. I love to use Kala Namak (Black Salt) for Tofu Scramble and Chickpea Omelette because it adds such an eggy smell and taste. Nutritional Yeast is a must-have for anything cheesy like parmesan or cheese sauce. Liquid Smoke makes Tofu, Tempeh, and TVP smell like bacon! BH: My wildest dreams are not very wild, quite the opposite. If I’m taking my future dog (we are looking to adopt!) out for a walk after I’ve watered my plants on a sunny day, then I’m the happiest person. I love the quiet life with lots of time to cook and enjoy life.